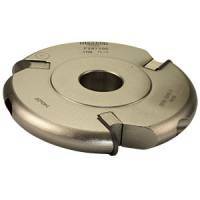 The mechanical feed cutter heads have locators and clamping for pairs of 5.5mm thickness x 50mm wide profile knives. These heads do not have any form of chip limiting action and are therefore NOT suitable for hand feeding. 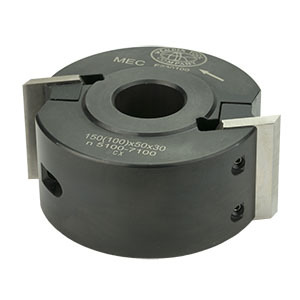 These heads, when fitted with the alloy steel (SP) profile knives, are suitable for jointing, rebating and profile work in un-bonded natural timbers. The blocks are supplied fitted with SP rebate knives. Please note: The 50mm x 4mm knives will not fit these blocks.